Great Lakes Metal Fabrication is a designer and manufacturer of high-end, custom and artistic metal work and classic wrought iron. GLMF works to achieve customer satisfaction through flexibility, quality materials, and competitive pricing. Experienced welders fabricate each piece, completing projects with a practiced hand. Whether it's large or small, the people at Great Lakes Metal Fabrication are motivated to complete a job well done. 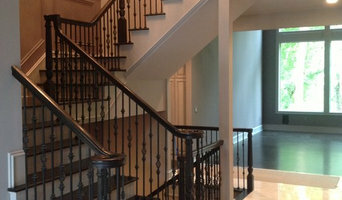 With over 45 years of experience, Beaver Stair Co. has made it's reputation on workmanship, design, manufacturing and installation of quality stairs and railings of the finest hardwoods including some exotic species, which may be combined with the ornate metal balustrade systems which have become so popular. The Beaver Stair family is proud to stand behind our product to the fullest extent of customer satisfaction. Established in 1961 Beaver Stair's owner is happy to give free estimates and is looking forward to helping you get the Stair System of your choice. Classic Woodworks of MI, Inc.
Classic Woodworks is a family owned company specializing in custom wood turnings. We offer a broad range of wood turning and have the ability to create large diameter kitchen table pedestals or duplicate your existing balusters, newels, legs, columns, porch posts, table legs, piano legs, plinth blocks, finials, etc. 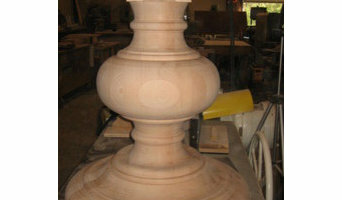 We can duplicate your existing turnings for your home or historical renovation project. 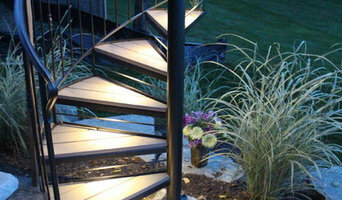 Northern Staircase Company is one of the leading staircase manufacturers in North America - Designers & Manufacturers of Spectacular Custom Curved, Spiral, Circular and Straight Staircases, Architectural Designs, Curved Glass Ballusters, Exotic Wood Treads and Handrails, Staircases for Home Builders - Pontiac, MI (248) 338-7846 www.northernstaircase.com. Modern Renovation is an owner operated company located in Clawson, Michigan. 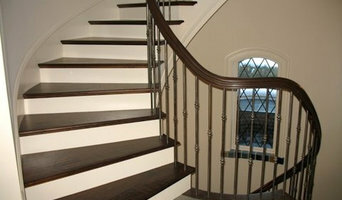 I specialize in staircase and railing installations as well as all aspects of finish carpentry. I offer free design consultations as well as free timely estimates. Handrails, Gates, Staircases, Decorative Architectural Iron. Highland wood products has been serving South Eastern Michigan homes since 2012 Highland wood products has been designing and installing custom built wood stairs and railings. ELEGANCE AND BEAUTY, CUSTOM-CRAFTED just for you. Whether the look is traditional, modern, colonial or contemporary, Highland wood products will create your own personal work of art. 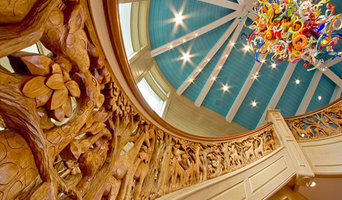 WE CAN CUSTOM DESIGN YOUR STAIRCASE to suit your special requirements. We provide handrails, balusters and newel posts to compliment the beauty of your home. Contractors and home builders can depend upon our high level of reliability, professionalism and quality, time after time. THE SPLENDORS OF NATURE- Cherry, oak, pine, maple, walnut – the most beautiful woods in the world. Imagine an exquisitely designed, custom built staircase as the centerpiece of your home. Highland wood products skilled designers and woodworkers will work with you to create the staircase of your dreams Call or email us and we can have a sale rep give you an estimate. Homes Built By Hand Inc.
Quality finish carpentry, kitchen & bath, basements, stairs & railings, moldings. Pre- finished hardwood flooring. MJB STAIRS has been handcrafting beautiful stairs and service the entire southeast Michigan area since 1997.We take pride bringing to your home a beautifully designed and handcrafted hardwood staircase. Our company is based on the belief that our customers needs are of the utmost importance. We are committed to meeting those needs. As result , a high percentage of our business is from repeat customers and referrals. We use only the finest materials and hardwoods to guarantee the highest quality in your staircase. Providing the best quality are more than just words... It's what we do. We genuinely care about our customers and go above and beyond to provide you with the best services. Reconizing a growing demand in this region for quality product, Victoria Railings was established to offer a solution residents of the Windsor and Essex Region who want an aesthetically pleasing and safe solutions for their residence or commercial property. Making use of powder coated aluminum that meets or exceeds AAMA 2604 certification and built to last with thick walled aluminium that is impervious to rust, our railings provide the perfect finish for any staircase or porch. We provide exterior handrails, deck guards, balcony railings, wooden fences, and gates. Master Built Carpentry Inc. is a family owned small business and a professional organization that can tailor services for our clients needs. We specialize in finish Carpentry, cabinet making, staircases, custom stair rails, framing and various other types of new or improvement work Most projects whether new residential building, home remodeling or light commercial is done completely by us from the initial contact to finish. We have developed long lasting relationships with our customers by earning their trust in our ability to perform quickly,efficiently and professionally. Most important we strive to make the entire remodeling experience a pleasant one for our customers.